A woman was arrested after the Hickory Police Department said she robbed the Cubbard Express in Hickory. 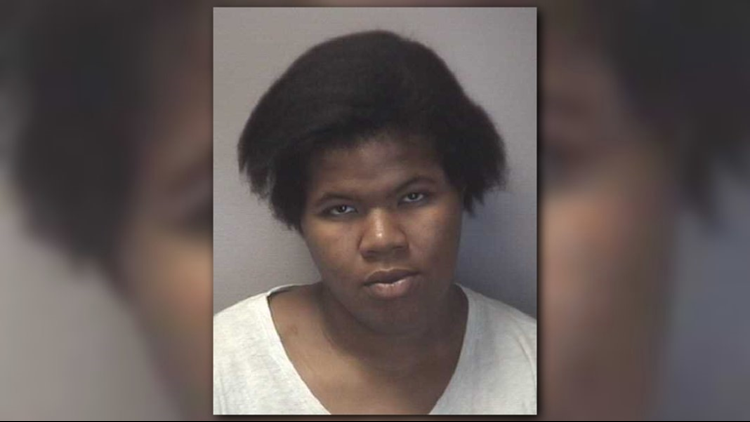 HICKORY, N.C. -- A woman was arrested after the Hickory Police Department said she robbed the Cubbard Express in Hickory. Police said the woman, Taya Aleque Shaquae McCathern, is accused of entering the store, displaying a handgun and demanding money. Police report she left the store with an undisclosed amount of cash. Police said McCathern then made the clerk drive her from the business in the clerk’s vehicle. After a period of time, the suspect released the clerk unharmed. McCathern was arrested on charges of common law robbery; Larceny of motor vehicle; and second-degree kidnapping. She was given a $150,000 secured bond and is being held at the Catawba County Detention Facility. Anyone with information regarding this on-going investigation is encouraged to call the Hickory Police Department at 828-328-5551 or contact Inv. K. Craig directly at 828-261-2616 or kcraig@hickorync.gov.